The Company’s History - KOGENERACJA S.A. In 1896-1897, it was decided that the area adjacent to the Oder River, in today’s Łowiecka Street (then Schützenstrasse), would be the best location for a power plant. It was then that the city authorities purchased the plot of land from the Hunting Association and set out to build a new power plant (the existing one was located in Mennicza Street). Work got underway in 1900 and on 8 July 1901 electricity was supplied to the inhabitants of Wrocław. Initially, the Wrocław Power Plant generated 6,170 kW of power, which was sufficient to satisfy the needs of Wrocław’s population. 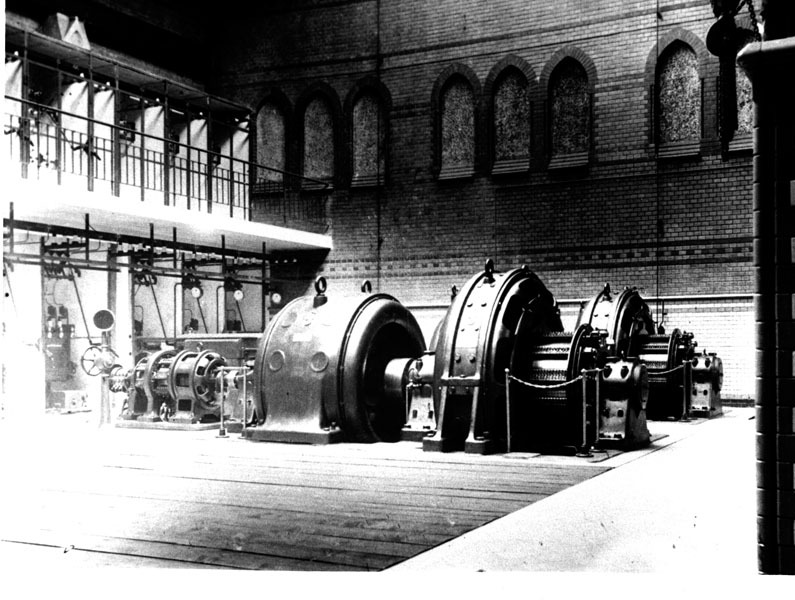 Driven by a rapidly growing demand for electricity, around 1930 the power plant was expanded and became capable of generating 57 MW. 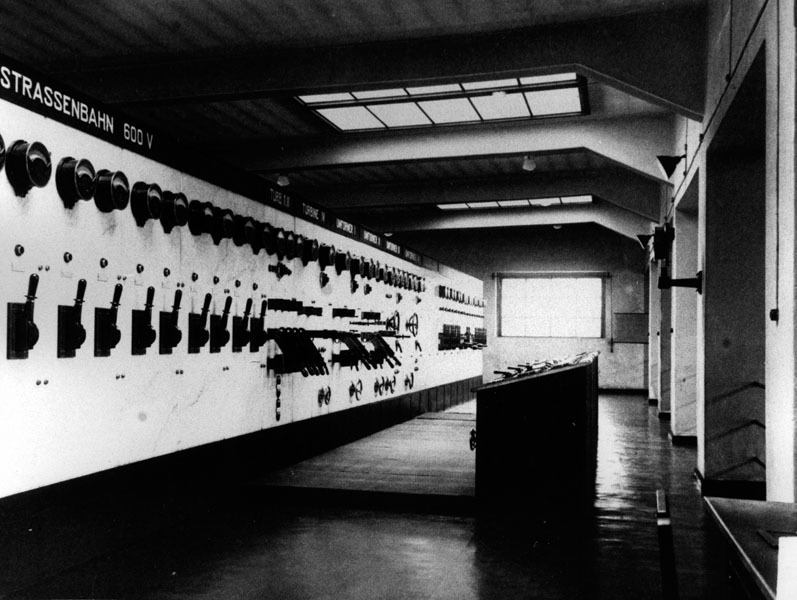 In the early 1940s, some of the plant’s machinery and equipment broke down and its generation capacity was reduced to 44 MW. 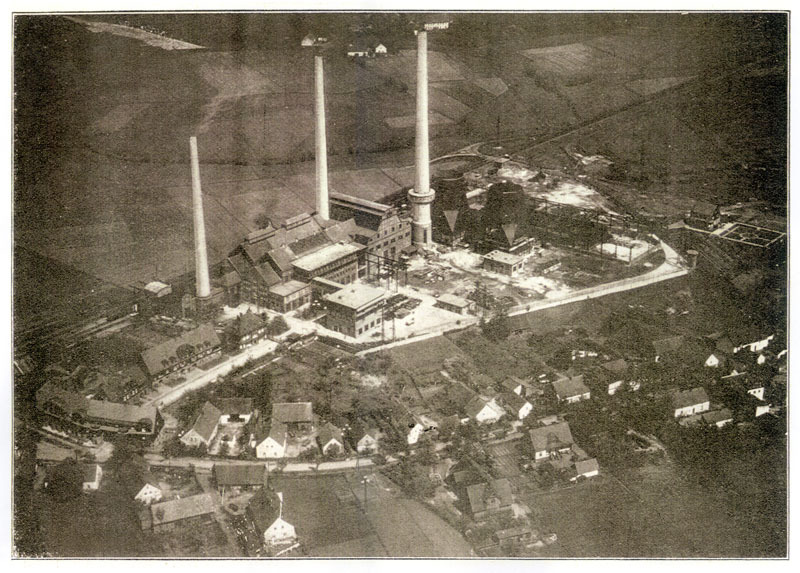 The Czechnica Power Plant located in Siechnice was built at the turn of the 19th and 20th centuries. Back then, it was part of Wacker-Chemie GmbH, founded by Alexander Wacker. 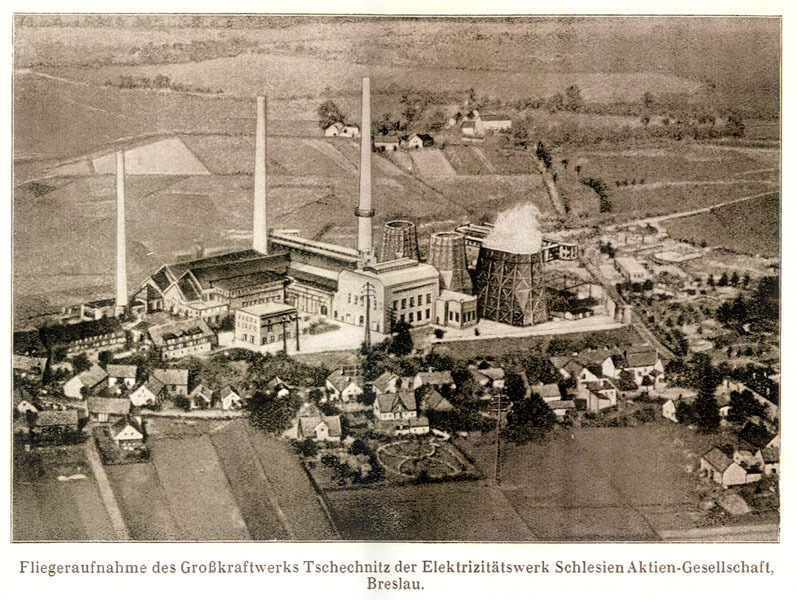 Between 1909 and 1945, the power plant belonged to Elektrizitätswerk Schlesien. Until 1945, Wrocław was a safe city far behind the front lines. It was not bombed for the first time until January 1945. The siege of Wrocław began on 16 February 1945. The Soviet army attacked Wrocław from the west and south. The city held out until the first days of May 1945. A significant part of the city’s industrial infrastructure was destroyed: 60% of its power plants, 70% of its electric power distribution system, 25% of its hydro-electric power plants, 100% of its lighting system. 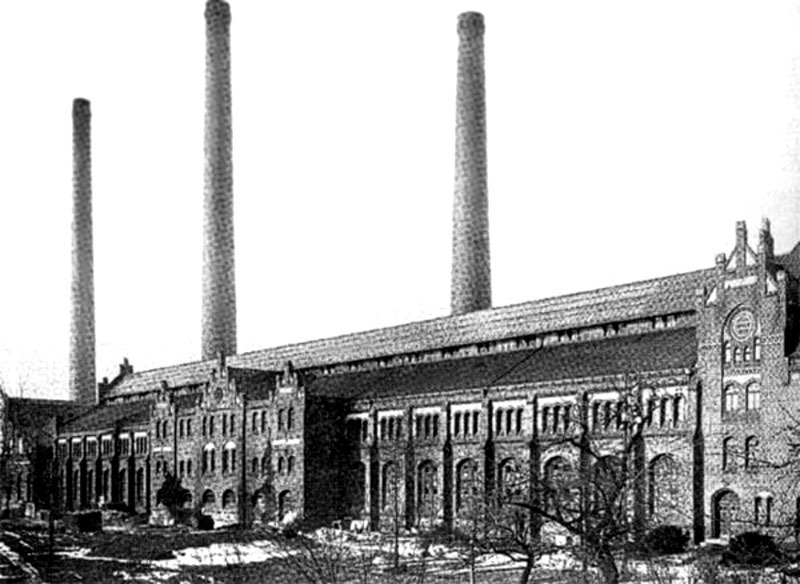 The Wrocław Power Plant was also badly damaged in the fighting. Some 60% of its machinery and equipment were completely destroyed, its smokestacks and steam and water pipes were damaged to a large extent. 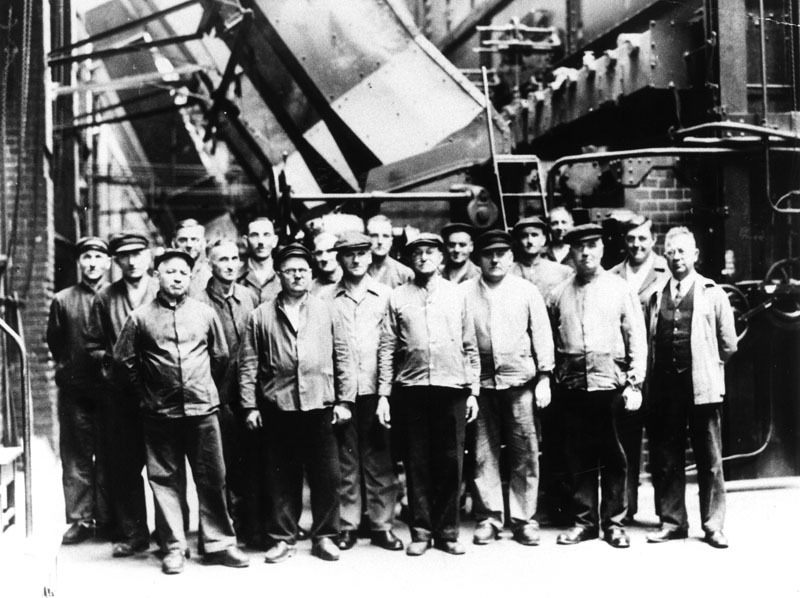 The war losses were so great that the plant’s capacity was reduced to a mere 3 MW, a fraction of its pre-war capacity. After the end of WWII, the power plant in Siechnice was nationalised and placed under Soviet administration. 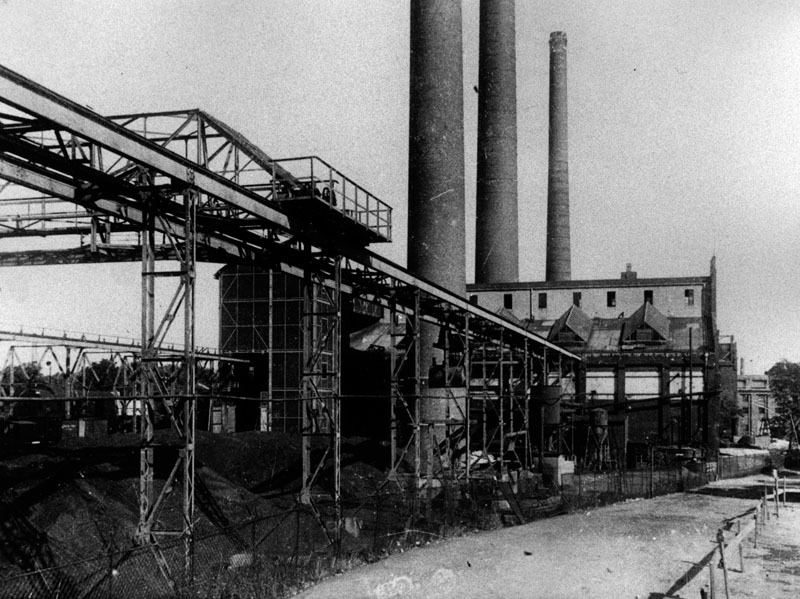 In March 1947, the closed plant was transferred to the Polish authorities. It was then that the rebuilding of the power plant commenced. It was completed in December 1947. The next step was to design a ‘new’ power plant using the existing buildings. The design was developed by the Warsaw Energy Design Bureau in 1949 and 1950, and the final plans were approved in 1953. 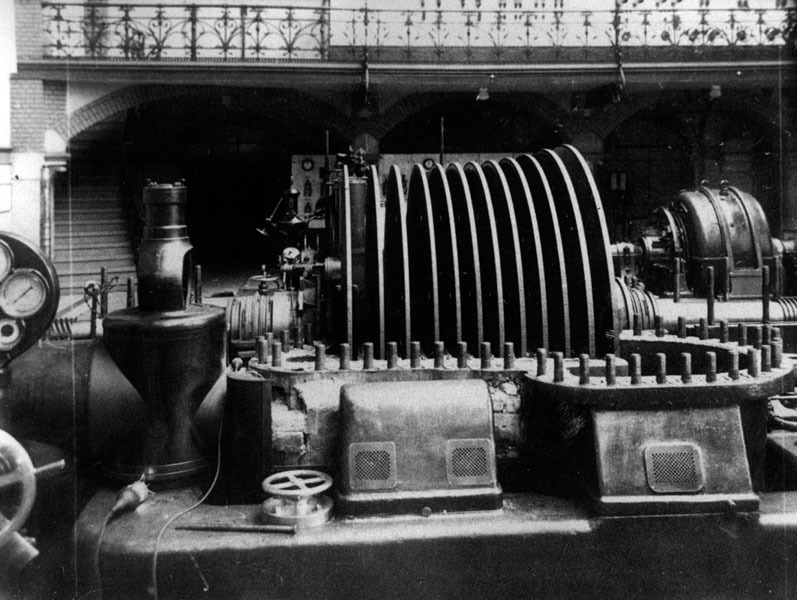 The new power plant made use of turbine sets imported from Czechoslovakia, while the remaining machinery and equipment were manufactured in Poland. In 1959, further expansion of the Czechnica Power Plant involved the installation of a third turbine set. After the work was completed, the power plant reached a capacity of up to 142 MW in 1961. 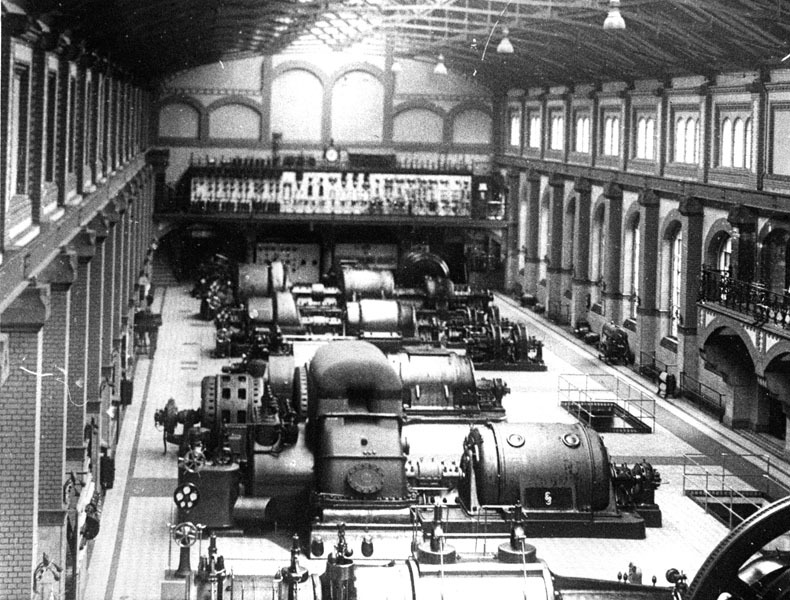 In 1945, rapid reconstruction of the Wrocław Power Plant also commenced. In July 1945, the plant came under the supervision of the city authorities. In 1946, the actual rebuilding process commenced. First of all, the damaged smokestack no. 1 (76 metres high) was repaired, followed by the rebuilding of smokestack no. 2 from its foundations (83 metres high) and, in 1947, smokestack no. 3 (82.5 metres high). In the 1950s, individual elements of the plant were upgraded and the power plant was transformed into a combined heat and power plant. Heat was first supplied via the new main in December 1959. In response to the growing demand for thermal energy, a new combined heat and power plant was built. The project was approved for implementation towards the end of the 1960s and divided into three stages. The first stage was completed in the years 1967 to 1972. That period saw the construction of two water boilers with a thermal capacity of 81 MW each, a thermal unit, a thermal unit with pumps and a reserve and start-up heat exchanger, a wharf for the unloading of coal from barges, a coal yard and a 120-metre-high reinforced concrete smokestack, water conditioning stations, a combustion waste yard in Kamień, and an electric station and auxiliary equipment buildings. The second stage was completed between 1972 and 1976. Two water boilers of a thermal capacity of 140 MW each, the second line of coal conveyors, a reinforced concrete 180-metre-high smokestack, accompanying systems and auxiliary equipment were built and put into service. A water boiler with a capacity of 140 MW and two thermal units were constructed in the third stage, which contributed to an increase in thermal capacity to 1,154 MW and in electric capacity to 259 MW. In the 1990s, work got underway on upgrading the plant in terms of environmental protection and bringing the combined heat and power plant into line with European standards, as well as equipping it with advanced computers. The plans to transform the Czechnica Power Plant into a combined heat and power plant supplying Wrocław with heat were approved in March 1974. The project commenced in 1979. That year the Czechnica Combined Heat and Power Plant was already supplying thermal capacity to Kombinat Ogrodniczy in Siechnice (35 MW). On 2 November 1981, the Czechnica Combined Heat and Power Plant started to supply heat to Wrocław. In July 1997, the power plant, like the whole of Wrocław, was affected by a great flood. The Oder River rose to 116.8 metres above sea level. Despite the frantic efforts of ordinary citizens and power plant employees, the plant was flooded. The damage caused by the ‘once in a thousand years’ flood was repaired thanks to the help of power sector specialists from all over Poland. The plant’s capacity was soon restored. Thanks to that and thanks to the approval of the Minister of the Treasury, the privatization process gathered speed. On 26 September 1999, the new company was named Zespół Elektrociepłowni Wrocławskich KOGENERACJA S.A. The first share issue took place in March 2000 and, on 26 May 2000 the Company debuted on the Warsaw Stock Exchange. In 2001, the French energy group EDF acquired, through its subsidiaries, a controlling interest (50% plus 1 share) in KOGENERACJA S.A. Since that time the Company has been part of the Group. In 2010, the thermal assets of the former TERM-Hydral plant, which supplies district heating to Wrocław’s Psie Pole area, were acquired. In 2014, a CHP unit with the following parameters: 2.67 MW of electric capacity and 2.75 MW of thermal capacity was built at the Zawidawie Combined Heat and Power Plant. In the fourth quarter of 2010, as part of the investments made at the Czechnica Combined Heat and Power Plant, the K-2 coal-fired boiler was upgraded and adapted to being 100% biomass-fired. After the upgrade, the boiler has been generating 100 tonnes of steam from biomass per hour, with the steam used for the generation of electricity and heat for Wrocław and Siechnice. During the years 2013–2015, desulphurization and denitrogenation systems were installed at the Wrocław Combined Heat and Power Plant. This has led to air emission of sulphur oxides being reduced fivefold and air emission of nitrogen oxides being reduced threefold. In this way, the stringent new EU standards, effective since 1 January 2016, were met. The investments completed in Wrocław were part of a programme intended to bring the EDF Group’s generation companies in Poland into line with EU environmental protection standards and enhance the companies’ effectiveness. In October 2017 the demolition of the 120-meter smokestack was completed. Its function was taken over by the new desulphurization system to which the flue gas stream was directed. On 13 November 2017 PGE Group acquired EDF assets in Poland and in connection with indirect acquisition of shares of KOGENERACJA S.A., PGE has become the owner of 50% plus 1 share.